Everything can go wrong after just one silly text. A look at the family behind Tiny Tom Donuts. Sights and sounds collide in your everyday journey. A little bat tries to fall asleep at sunrise in the forest. Prince Charming attempts to be a hero in saving the princesses but nothing goes his way. A lamp-lighting salamander plays a friendly game with a dragonfly. A girl finds a strange mirror in an abandoned subway. A character study of Misha Mykitiuk, a young competitive-swimmer and dedicated musician. Two brothers bond over their love for photography. A hungry crocodile finds there is more to his meal. Obsession to keep things in order creates disorder itself. A conflicted young man in the inner city struggles to overcome a personal battle. A woman recounts her sexual assault, both the act and its lasting effects it continues to have on her life. A look at male cheerleaders and what they go through in a female-dominated sport. A girl hides from her parents who are filled with fear and pride. Every day we are recorded in some form. Someone is always watching. A lonely man is pestered by a duck. Red is excited to see the world. Blue wants to change Red. Red finds a place of acceptance. When a midnight Ouija Board session turns up promising results, a young girl is determined to snap a picture of her little spirit by any means necessary. An old note reveals past memories while friends make new promises. Wander through a home constructed of white paper, stitched with memories. Riley is struggling with scoliosis and must come to terms with the fact that she can no longer dance. ​Marshall Hohmann does everything without his voice or hands while in a wheelchair. Discover how Marshall achieves so many wonderful things. A quirky photographer captures the world from behind, with her five models going bare on camera for the first time. 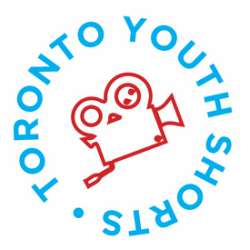 Eight student filmmakers agree to spend a weekend with Michael Hackenberger, owner of the Bowmanville zoo, to create a video in response to the media attention he has received while gaining insight into how the trainer treats his peers, his animals, and his zoo. Social media influencers have become an integral part of the marketing industry. Instragrammers @icingandglitter and @danaherlihey struggle to find authenticity with the brand sponsorships that financially support their careers. Two best friends figure out who they are and who they want to be in front of the bathroom mirror. Starring Natasha Greenblatt (Bomb Girls). Journalist, comic book fan, and videogamer, Veerender Jubbal, reacts to Gamer Gate and racism. A director tries to get the last shot of his big budget Hollywood sci-fi film while everything falls apart around him. Aryan just moved to Canada and he misses his friends. While his Mother is in a frenzy figuring out how to navigate the country, Aryan tries to Skype a party filled with his friends back home. Three musicians express their feelings and ideas on Hip Hop culture in Toronto. Two amateur ghost hunters quickly learn that they weren't prepared for what an abandoned house has to offer. After breaking out of their retirement home, an elderly couple must face a harsh reality from their past. Financially struggling and alone in a new country, Nour yearns for the day where she is reunited with her son. A personal account of one's recovery from esophageal cancer. A girl dreaming of spending the day with her father, goes out on an errand first. A couple drives along the country road. Their lives are forever changed after an encounter. An exploration of teenage fears and anxiety. In Villa Rica, Cauca, Colombia, there is no potable water. Trapped under a hierarchy for access to water, Jota Ramos tries to stand up against his tyrant. Two best friends live in their own clueless world, fixated by trends. When one fancies someone new, their relationship splinters. After battling cancer for several months, 22-year old Kristy-Ann receives news of her condition. Two close friends struggle with their sexuality and self identity. Starring Lyle Lettau (Degrassi: Next Class). A film on friendship and growing up. The lines between mythology and reality are blurred in these personal accounts of real-life sexual assault when survivor stories are mixed with the myth of Hades and Persephone. Seven minutes in heaven quickly turns into seven minutes in hell when the awkward yet endearing Nick finds himself caught in a loop of spinning the bottle.